Welcome to the Whitsundays, Airlie Beach the gateway to the Great Barrier Reef. 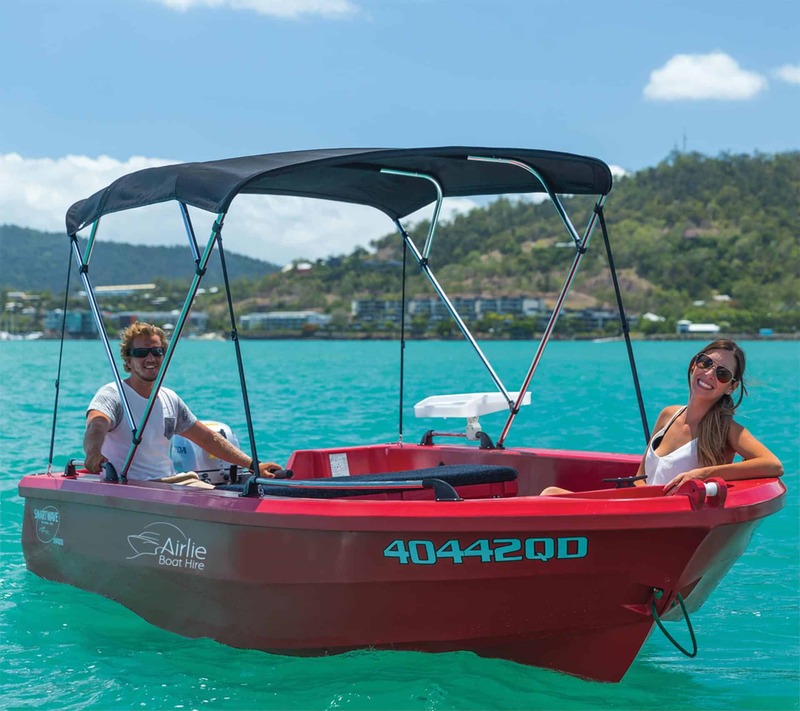 If you are looking to explore the beautiful Whitsunday Islands, on your own time, we can provide a number of different options for you. Snorkelling, swimming, diving or just relaxing in the beautiful azure waters. All our boats are located at our floating office at Abell Point Marina, South Village – Berth N00. 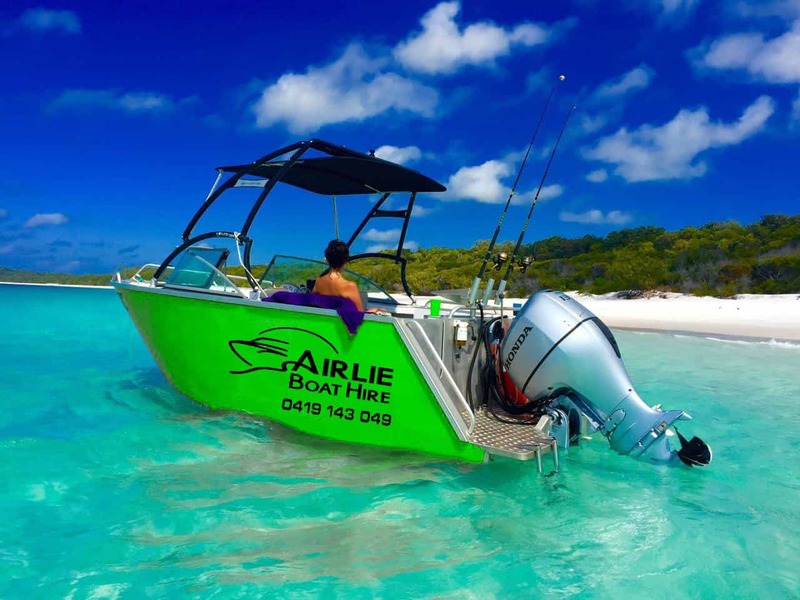 Our self-hire and drive Centre Cab and Bow Rider can get you out to all the islands and Whitehaven Beach. All you need is a valid Boat License – National or International. 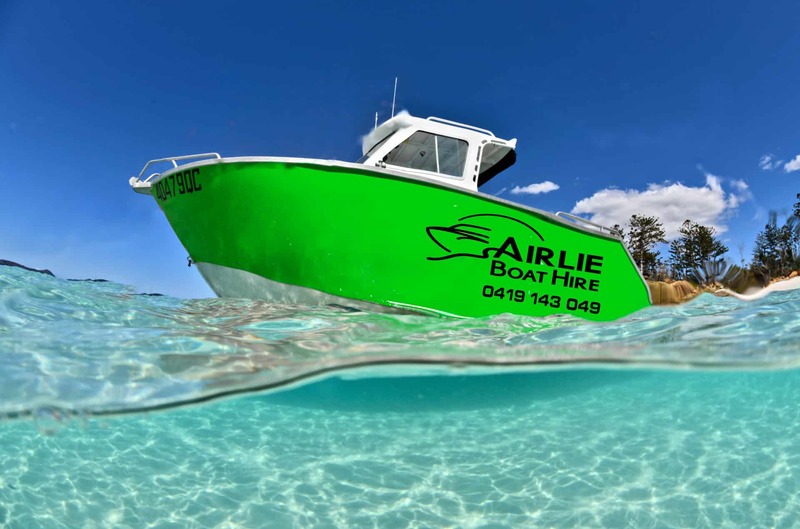 Our tinny on a good day can take you to South and North Molle Islands, around Daydream and to Long Island. 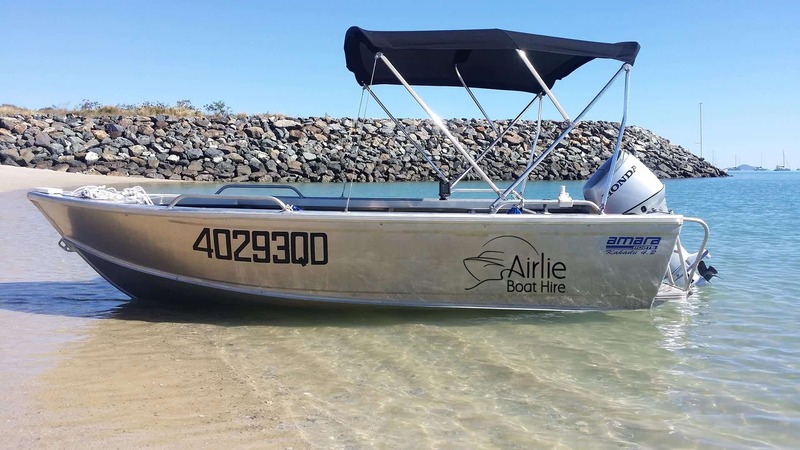 Our Poly Boats are for our customers that don’t have a boat license and want to get out on the water to fish and sightsee with turtles and dugongs ever present in the Bay off Airlie Beach. These boats do have a restricted area and can not get to the islands. Huge thanks to Ryan, super easy to deal with and friendly. We had an amazing morning out on the water fishing and relaxing. Top of the list for our next visit. Boat was great, fishing rods, bait, tackle box, esky with ice all can be hired at a reasonable rate. Was a great morning out (definitely the best to do morning) didn’t catch anything but plenty of bites and an impatient 8yr old but had fun seen a sea turtle. Cheapest water activity for 4 hrs in Airlie. Incredibly well presented and very approachable thanks to Ryan, very friendly and the boats are amazing to drive and overall a great experience Dylan S.